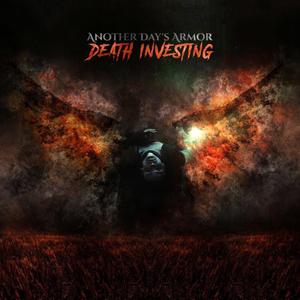 New York based rock/alternative metal band ANOTHER DAY'S ARMOR has released the official music video for their single, "Death Investing". Originally premiered on BVTV Music, "Death Investing" was filmed by Alex Kouvatsos at Blackwolf Imaging. Watch the video for "Death Investing" on KNAC.COM HERE. ANOTHER DAY'S ARMOR is a Rock/Alternative Metal band from New York. Combining the huge, mainstream sound of arena rock with borderline metal instrumental work, the band started to create a buzz for themselves with debut singles "Reflections" and "Simple As Sin". Coming off the momentum of the previous two singles, the band has been working on their debut EP which is set to release mid summer 2018. Coming up in a time where very few bands put any emphasis into their image and persona, ADA pride themselves on standing out from the crowd both visually, and musically. With an image reminiscent of a time where rock was on top of the music world, ANOTHER DAY'S ARMOR refuses to be just another “faceless” band, wanting their fans to feel connected to every member: Logan Manganelli - Vocals, Nick Palma - Lead Guitar, Ryan Bicknell - Rhythm Guitar, Joe Grunski - Bass, and Alec Keshishian - Drums. ANOTHER DAY'S ARMOR aren't just a band, they are a movement for the future of rock.